A few days ago Amazon announced that 23 of its indie ebook authors had sold over 250,000 units last year. Just to be clear about this, that's over 250,000 each, not combined. Much to my surprise I find that I'm sharing a forum with three of them, and it's been celebrations all round. I might not frequent such dizzying ebook numbers, but I'm sitting here in my own warm glow. 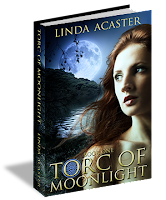 Today I uploaded the print version of Torc of Moonlight to Createspace, downloaded the digital proof, tinkered with widows & orphans, like you do, and re-uploaded. In less than five hours it's been vetted by a person and I've just ordered a physical proof to be delivered to my door. When I started with ebooks I thought I'd waved farewell to paperbacks - I like reading on my Kindle, and it's always my first option for new purchases - but having a big smiley lapel badge "Ebook Author" doesn't quite hit the spot when I'm giving talks. Participants are happy to take my postcards sporting the book covers, blurbs and buying info, but they still yearn for a physical book, duly signed, from an author they've met. When I uploaded Beneath The Shining Mountains late last year this wasn't in my mind. As an ebook this is my biggest selling title, mostly to USA readers, yet I'd noted from various forums that authors offered both digital and print. 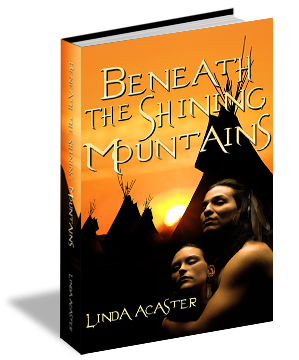 My ebooks are offered in both ePub and Kindle formats, so why not print as well? All it was going to cost me was an updated cover and time to absorb the formatting learning curve, which wasn't as onerous as expected. 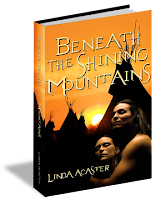 Since the paperback went live I have been pleasantly surprised as to sales. Long may it continue. I expect Torc of Moonlight the paperback to go live on Amazon in about ten days, and become available from Barnes & Noble, The Book Depository, and others, in about a month. Don't you just love modern publishing? 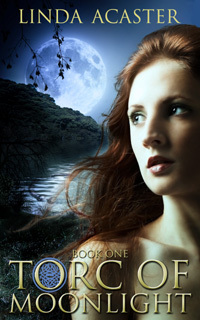 Today is re-launch day of Torc of Moonlight, nudging it slightly so that it moves from 'Supernatural Thriller' into 'Paranormal Romance', hence the commissioned new book cover. Categorising a novel can make or break its sales, or at least seriously dent them. While Torc of Moonlight has garnered a good number of 4* and 5* reviews - 17 on Amazon UK alone - its sales have been less than startling. I still regard it as my best novel, both for its multi-layered storylines and use of metaphor & symbolism - not that many readers are interested in dissecting a novel to that extent. A good read is a good read, as far as most readers are concerned, and that is what I aimed to provide. I have also had reverted my paperback rights, so it seemed an ideal time for a revamp. That should follow in about a month.